We all have those super old t-shirts hanging in our closets. We choose not to get rid of them for one reason or another, a couple of those reasons most likely being nostalgia and we love how soft the worn fabric has become. 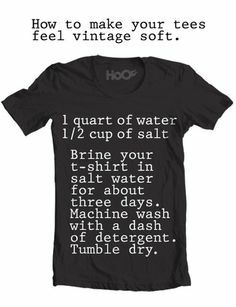 Here is a brilliant tip on how to keep your old tees feeling soft!